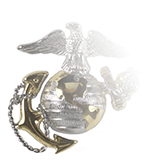 Established in 1951, the Navy Distinguished Public Service Award (DPSA) is presented by the Secretary of the Navy to civilians for either specific acts of courage or heroism or whose actions or service have provided long-term, substantial benefits to the either the U.S. Navy, U.S. Marine Crops, or the entire Department of the Navy. 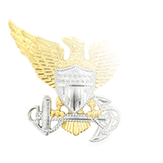 The DPSA is the highest honor that can be bestowed upon a civilian not in the employ of the Navy. 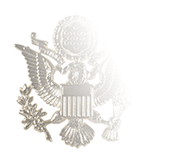 When it was originally established, Navy DPSA was awarded as a lapel pin accompanied by a certificate, but a medal designed by the U.S. Mint was soon available and was first presented in the same year that the DPSA was established. The front of the medal features the Seal of the Department of the Navy, surmounted by the inscripted words “Navy Department” and below it the words “United States of America.” On the reverse is the inscription “Awarded to,” with a blank area for engraving the recipient’s name. The colors on the ribbon are blue and gold, specifically Blue PMS (Pantone Matching System) 294 and Gold PMS 1235. 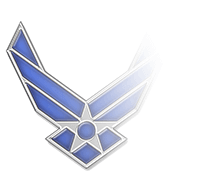 Among the many notable recipients of the Navy DPSA are Tom Hanks, Steven Spielberg, House of Representative members Nancy Pelosi and Rodney Frelinghuysen, and businessman and investor Ted Leonsis. 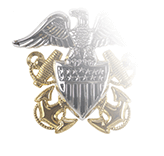 The precedence of the Navy Distinguished Public Service Medal is after the Navy Distinguished Service Medal and before the Defense Superior Service Medal.